A truly original design based on a combination of Sauna, Steam and salt infusion. 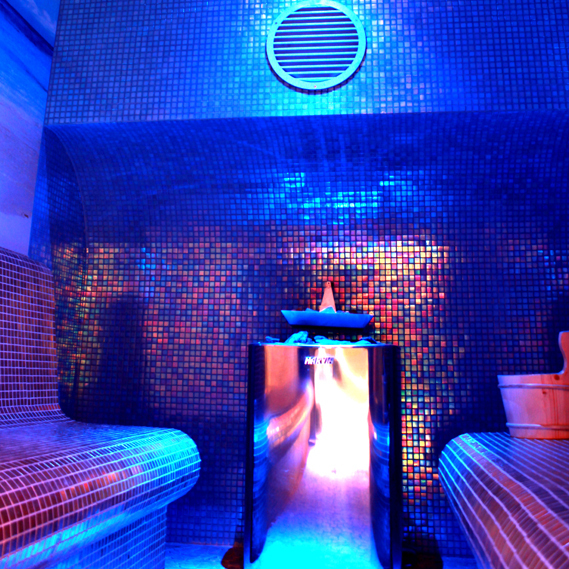 The Ocean Room is great addition for Spas, Pools and Health Clubs. With the Sound of the Ocean waves gently cascading onto the Beach, Sand Stone Pebble floor, Luxury Contoured seating, Water effect walls, and sky blue ceiling all help to create an invigorating beach like experience. The Bio-sauna heater, paired with an Herbal Tundish containing fresh Seaweed and Rock Salt allow warm air to wash into the room creating that Sea Breeze. For more information on our Ocean Room please contact us.